Jerry Solzman celebrates his 40th tax season! 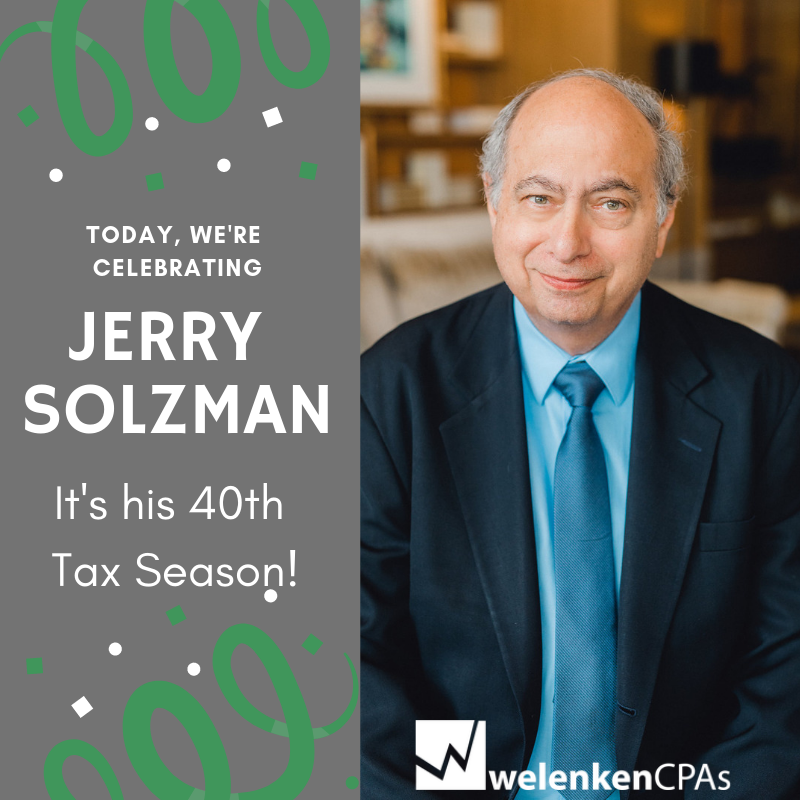 Welenken > Blog > Uncategorized > Jerry Solzman celebrates his 40th tax season! Jerry has been preparing tax returns at Welenken CPAs for 40 years! His experience and expertise is invaluable, and is a real treasure to our organization. Thank you, Jerry! !